Brysen strives to be a great falconer—while his twin sister, Kylee, rejects her ancient gifts for the sport and wishes to be free of falconry. She’s nearly made it out, too, but a war is rolling toward their home in the Six Villages, and no bird or falconer will be safe. 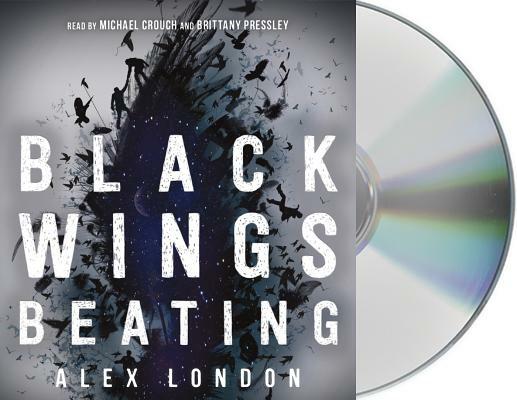 In this first young-adult fantasy audiobook in a trilogy, Alex London launches a soaring saga about the memories that haunt us, the histories that hunt us, and the bonds of blood between us. Alex London has written books for adults, children, and teens. The first book in the Skybound Saga, Black Wings Beating—which the New York Times Book Review called “brilliantly crafted”—was a NBC Today Show Book Club Pick, a Kirkus Best YA Book of the Year, and received several starred reviews. His young adult debut, Proxy, was an ALA Top Ten Quick Pick for Reluctant Young Readers, a 2014 Best Fiction for Young Adults, a Rainbow List Selection, and appeared on state reading lists across the country. At one time a journalist reporting from conflict zones and refugee camps, Alex lives with his husband in Philadelphia, Pennsylvania. Brittany Pressley is an Audiofile Earphones award winning narrator in NYC. She has recorded over 100 titles and has received several nominations for American Library Association's annual list of Amazing Audiobooks for Young Adults. She is also an accomplished singer/songwriter and voice actress. Her voice can be heard on national and international TV and radio commercials as well as several animated series and video games. She is a proud graduate of Columbia University.